Father Illustrates Animals Every Day to Teach His Son the Alphabet #makereducation « Adafruit Industries – Makers, hackers, artists, designers and engineers! We love this father’s approach to introducing his son to the alphabet and reading! 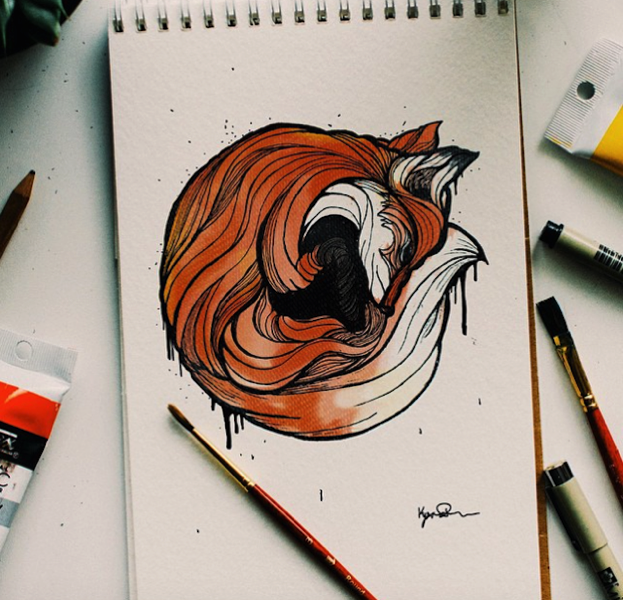 In order to help push him towards his goal, the artist decided to challenge his friend Jeffrey Smith (who is also a fellow illustrator) to a sketchbook duel. The rules of this challenge meant they each had to complete a sketch each day and post it on Instagram by midnight. Additionally, Dana explains on his website, “The animal had to start with the letter of the day and the composition could be created using any medium.” After a full 26 days, the two illustrators successfully completed the challenge and never once skipped a day.